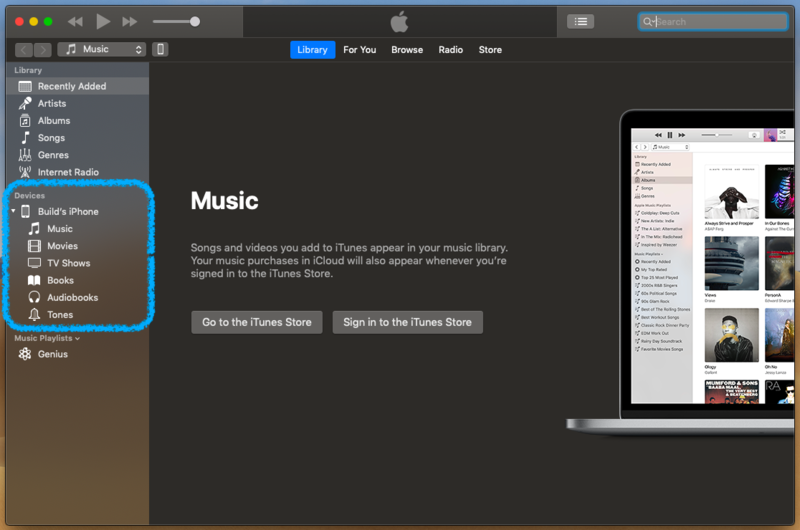 How Can iPhone Users Install Your Internal App Using iTunes? In this article we’ll go over how your employees who have iPhones can install your app using iTunes on their computer. Most apps are for public use and are available in the Apple and Google app stores, but some people need apps for internal use only in their businesses and those types of apps aren’t typically found in the app stores. In this article we’ll go over how your employees who have iPhones can install your app using iTunes on their computer. First things first, if you are looking to build an internal app you will need to be on our Business Level plan. You will also need to enroll in the Apple Enterprise Developer program. If you haven’t done so already, you can follow the steps on how to enroll in the Apple Enterprise Developer program here. Note: The Apple Enterprise Developer program is strictly for internal-use apps only so keep that in mind before you enroll. 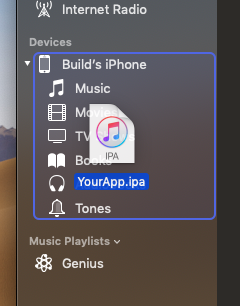 Also, before users can install your app, you’ll need to have the .IPA (the .IPA file is the app file for iOS users) file hosted somewhere so that users can download the file to their computers. This can be on your own website, or on a service such as DropBox or Google Drive. How and where you host the file is up to you. Next, we’ll go over how users install the .IPA file using iTunes on their computer. Users will first need to download the .IPA file onto their computer from where you’re hosting it. Next the user will need to plug their phone into the computer using the USB to Lightning cable that came with their phones. This will allow the computer (or laptop) to sync their phone with iTunes. 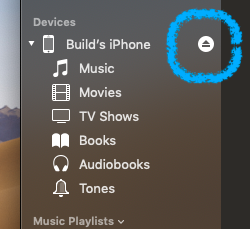 Now that they have plugged in their phone it should appear in iTunes in the side menu of the “Library” tab. Have them locate the .IPA file on their computer, then click and drag it onto their device’s information in iTunes. This will install the file onto their iPhone, and if they unlock their phone’s home screen, they should see it installing. Once it has installed, have them eject their phone from iTunes by clicking on the eject symbol next to their phone’s device information. Now that the app has been installed on their phone, they will need to manually trust the app on their phone. If they need help with how to do this, they can follow the steps laid out in this article. Once they’ve manually trusted your app they’ll be able to use it on their phone! One thing we should note is even though 95% of the content of the app can be updated without a resubmission, if you make changes to the app that would typically require a resubmission such as changes to the app’s icon and loading screens, or if a new build of your app needs to be made, once the new .IPA file is created users will need to uninstall your app from their phones, and reinstall the new version following the steps above, including manually trusting the app on their iPhone, so keep that in mind.